I love kitchens. But I adore smallish kitchens. 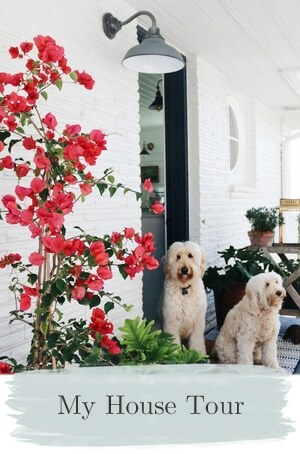 I think they can be so homey and comforting! Yes, sometimes small kitchens are frustrating to work in. I’ll admit trying to find enough counter space can be tricky in a small space, let alone having places for everything else! 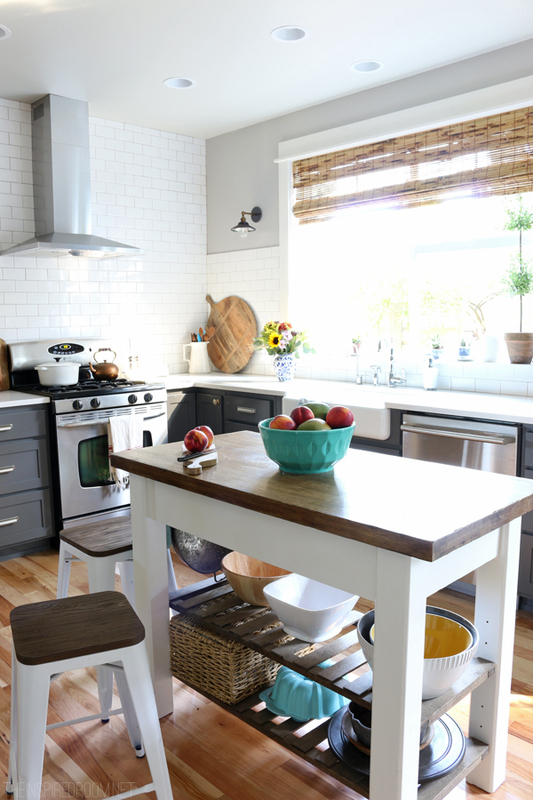 But in spite of their challenges, I think small kitchens can be super charming. Best of all, they can be updated on more reasonable budgets, too! 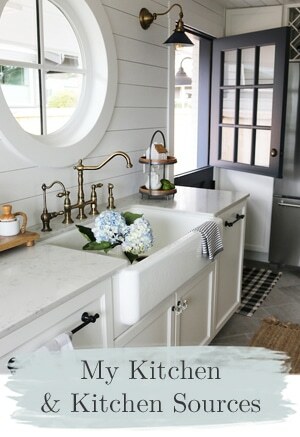 Today I’ve rounded up a few pretty ideas that inspired me with ways to make the most of a small kitchen. Enjoy! 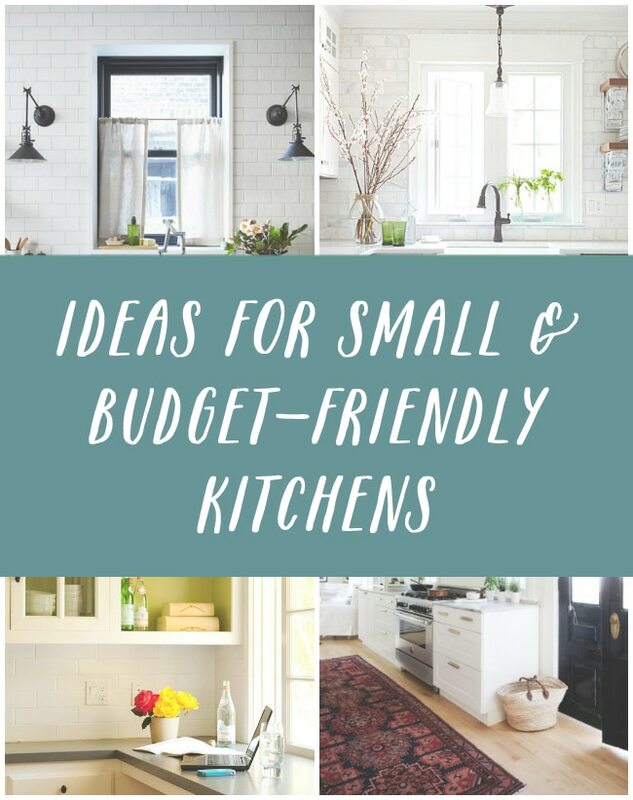 Give your kitchen a mini-sized facelift. 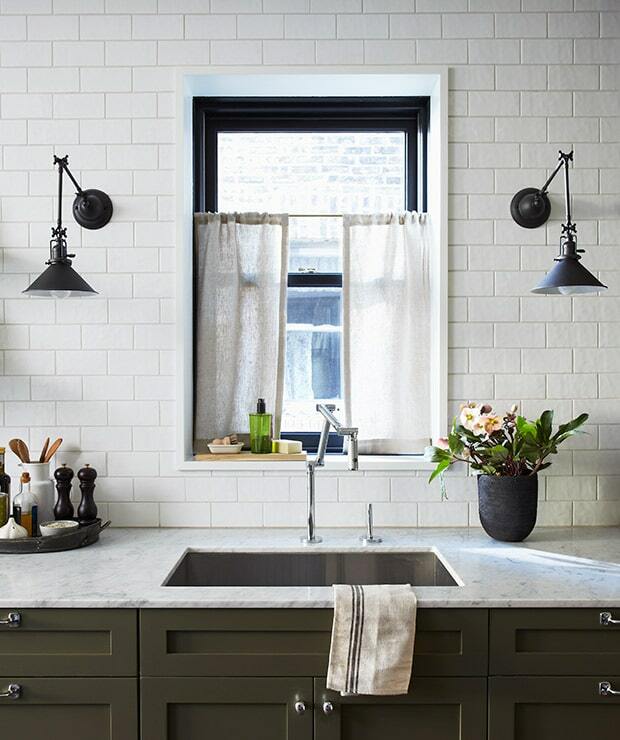 Small and average sized kitchens have elements that can be beautifully updated on a budget with DIY projects, an affordable mix of lighting and materials and colors that inspire you. 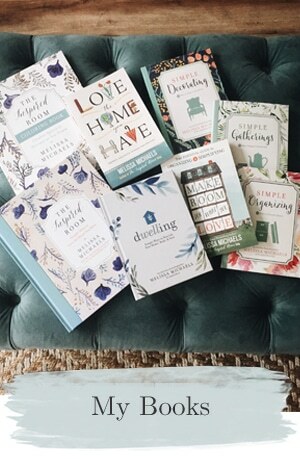 Play up the details with more charm and character! Enhance the personality with paint. 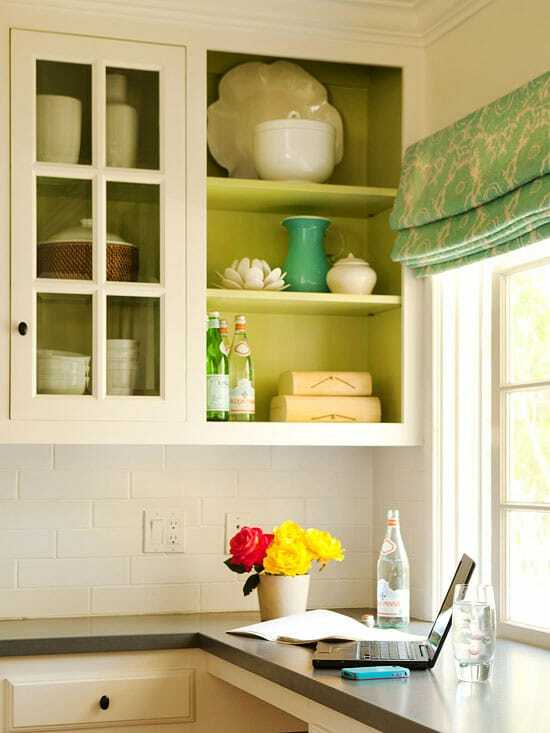 Remove a cabinet door and paint the back of the cabinet a cheery color as a fun backdrop for baking items or dishes. 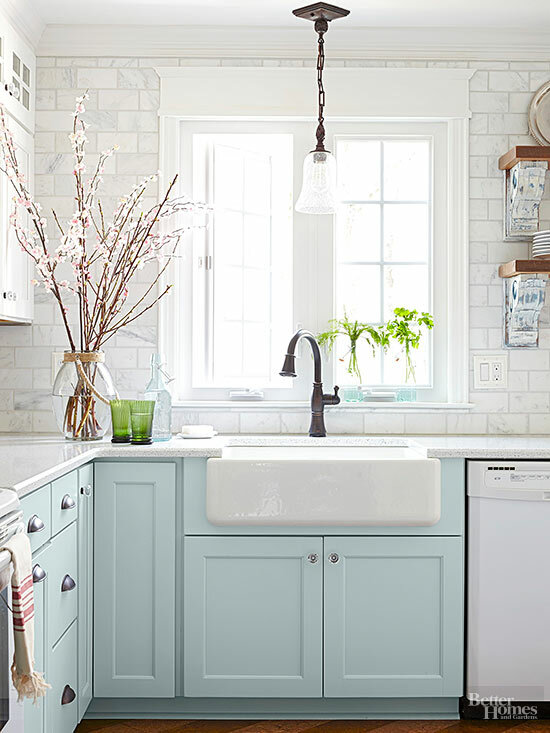 It doesn’t take much paint to make a statement in a small kitchen! 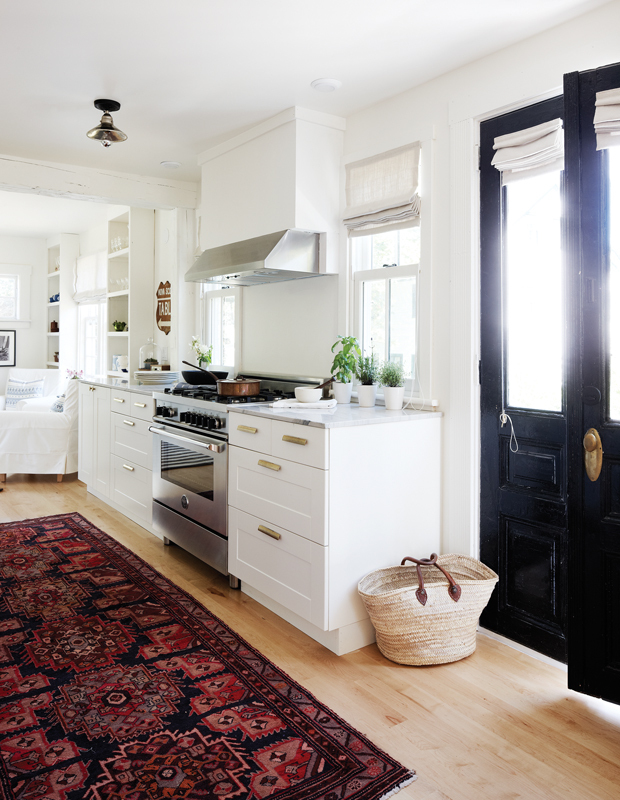 Small kitchens may not have a lot of opportunity or room to add warmth, pattern and color, but every kitchen likely has room for a rug! Even if it is just a small rug by the sink, a rug can add more softness, warmth and style. Tuck in useful and charming storage. Every inch counts, so don’t settle for dark or cramped cabinets. Install corner shelves to make the most of your space. 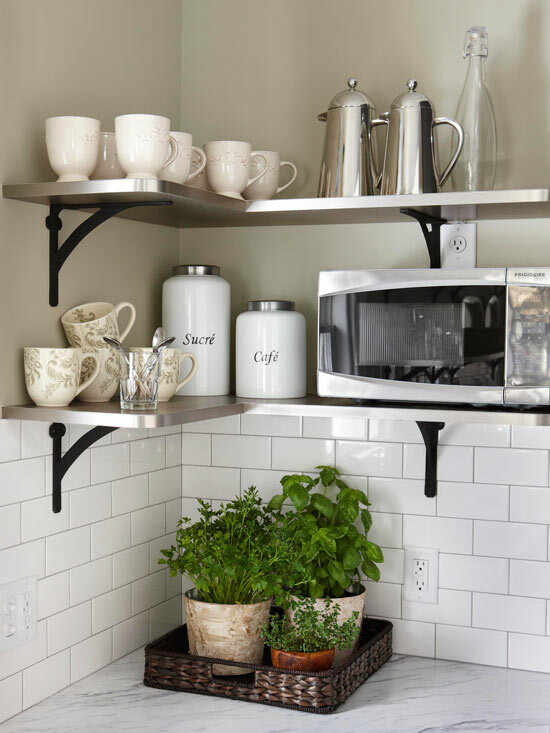 Remove some existing corner or wall cabinets in favor of open shelving to make your kitchen feel more spacious and open. 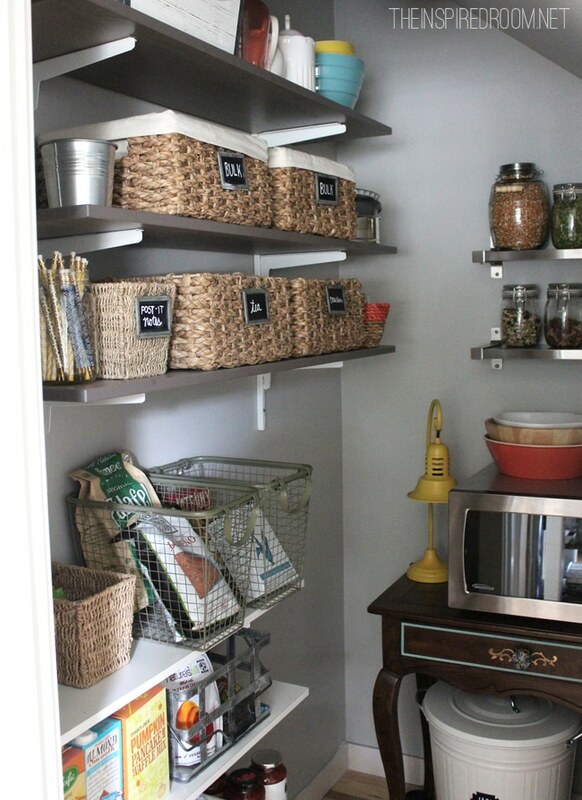 Use your open shelving for small appliances, or practical and decorative canisters and baskets. In our old house, one of the most frequently asked questions was about where we put our microwave when we remodeled. It used to be one of those built-in microwaves above the stove. In theory, a microwave over an oven is probably an efficient use of space in some ways, but we really didn’t like how crunched it felt for multiple people work at the stove with that appliance over our head. We actually rarely use a microwave so we almost didn’t replace it at all. But sometimes it is nice to have one when you have a big meal and need an extra oven to heat something up or we just want a quick snack, so we set one up in our pantry during the remodel. And that led to another frequently asked reader question, wasn’t that location inconvenient for a microwave? The truth is I actually much preferred the microwave in the pantry! It was just a few steps from our island so it was just as close and convenient as anywhere, but it also saved counter and cabinet space in our main kitchen area which is where we spent the most time. It worked out great for us to separate out our appliances so there could be many cooks in the kitchen without bumping into each other. In our old English Tudor (above) we had a separate cooktop and then right next to it there was a wall oven and a microwave. 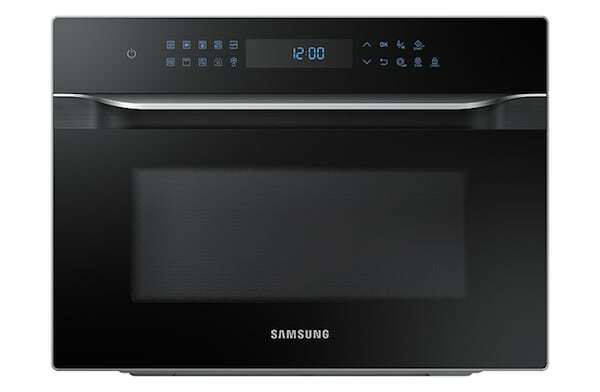 I loved having a separate cooktop and a wall oven and a microwave, even thought they were pretty close together. One of the most frequently asked questions about my new kitchen is in regards to the appliances, particularly that vintage oven! Even thought it’s old, it is pretty cool to have the double oven, I’ll admit. 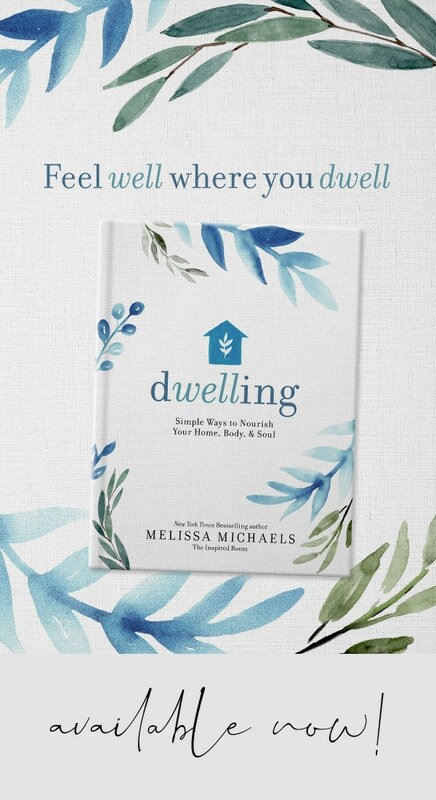 I’ve had several emails from people wanting to buy it, so no matter what we decide to do it will continue to be well loved. The stove/oven combo takes up most of one side of the available counter and wall space. The microwave that was left in the house was very old and sat on a chair. The microwave bit the dust a couple of weeks ago (joining our dryer in the appliance graveyard, ha! And of course, the sewer was already in line to be replaced. We also had a kitchen sink leak so we disconnected the garbage disposal for now. We’re on a roll here!). Now as we are contemplating our kitchen design and how to best remodel it to suit our needs and style preferences, we are of course thinking about appliances. It is sometimes a puzzle how to best arrange a kitchen to be efficient as well as to allow the most storage and counter space. And if we open up that left wall at all, even to widen the doorway, it will leave less space for an oven and countertop. My thought right now is to leave all the appliances in the same place, not only to save money but because they seem to be efficiently located. If we eventually get a new gas oven we’d need to have the gas line brought in, so that’s something to think about too. I would also want to install a new exhaust fan as the one here currently doesn’t function. I really don’t like smelling food all over the house (sensitive nose here) and you need a good fan especially for gas cooking. So even when you do try to keep appliances in the same location to save money, there will be work involved to get anything new. 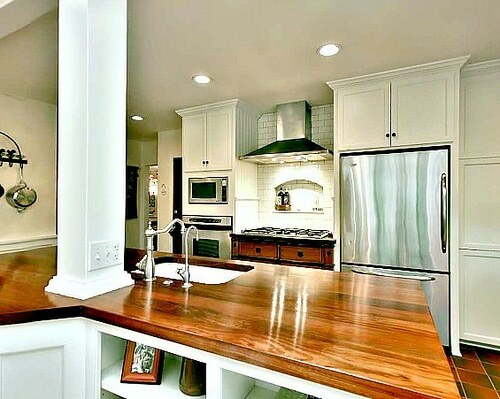 One thing always leads to another when it comes to kitchen remodels. Am I right? We for sure won’t be keeping the chair and microwave arrangement in our kitchen :). 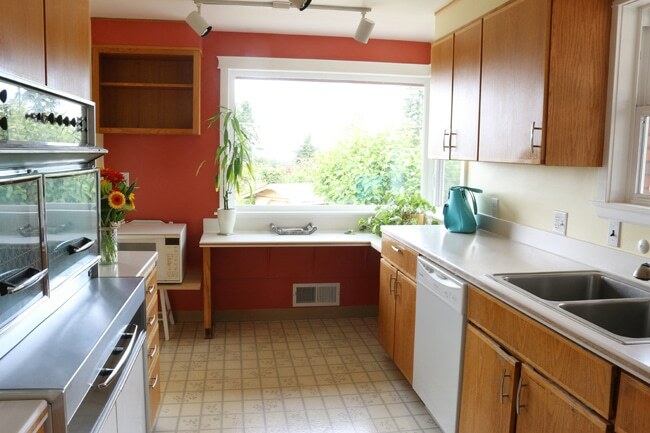 I’m thinking if we do add the window seat I mentioned, which I would LOVE, we could still fit in a cabinet to the left of it to hold our coffee maker (a must) and if there’s space, we could fit in a microwave. If we had room, that convection microwave would be wonderful! I’m keeping it on my list of possibilities. 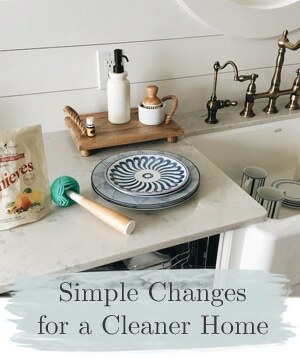 Even though I plan to remodel my kitchen, I have intentionally been spending time living with it and using it as is so we have the opportunity to really think about what the best plan will be. I don’t like to spend money unnecessarily so usually it pays off to think a bit before you tear it all apart! Taking that time to get to know the kitchen and our home has already given us quite a few clues as to what the best arrangement for this space will be! So, what layout do you currently have for your kitchen appliances? 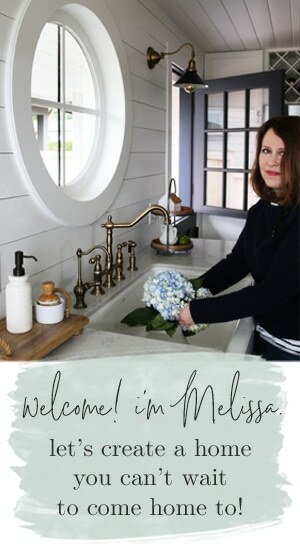 I am thrilled to be a brand ambassador for Samsung Home Appliances and this post was created as a part of my partnership, but my experiences and opinions are my own.